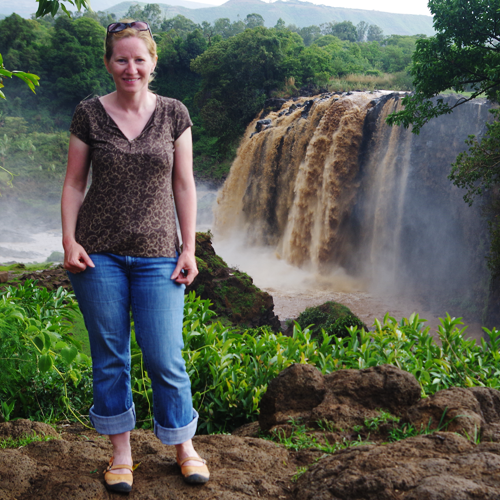 When I turned 37, I challenged myself with a list of 37 tasks to complete during the year. You can catch up over here. 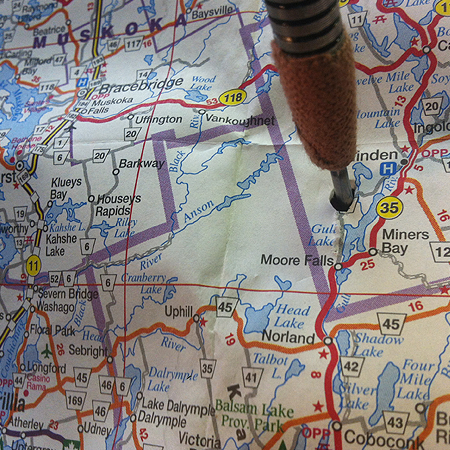 This was an easy little adventure as I’m always game for a road trip: throw a dart at a map of Ontario and go there. Originally this item declared I had to go to both sides of the map where the hole pierced, but as northern Ontario is rather vast and much of it needs a plane to get to, I let myself off the hook. I think that’s important – hold yourself to a high standard, but be kind enough so that you’re not being too ridiculous about it. The timing was absolutely perfect – I tossed the dart in a friend’s garage this summer, but waited until the fall to venture out. I’m a sucker for the fall colours. (And I’m the queen of procrastination.) 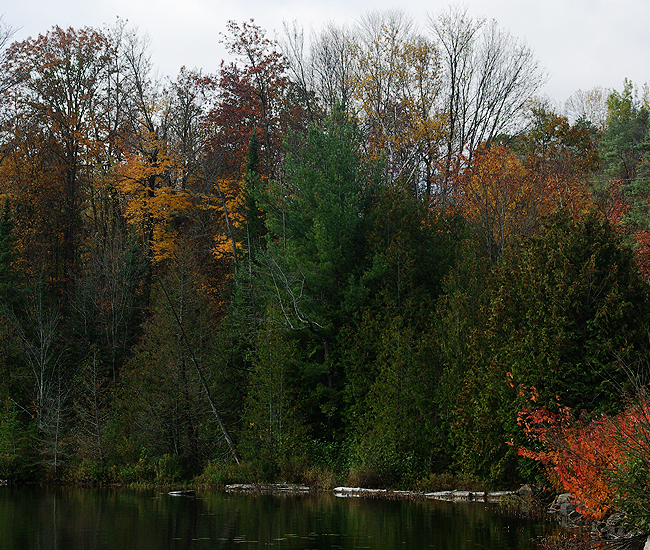 The target was somewhere between Bob Lake and Little Bob Lake in Haliburton. Leaving a road trip up to fate, highly recommended. Unless you end up in Wawa, those big geese freak me out. The weeks leading up to the road trip had been a whirlwind. All the typical stuff, job stress, running around like a lunatic, pretending to look like I know exactly what I’m up to. Toss in a trip to eastern Europe to drink, hang out with monks and meet a bunch of new friends and I was ready for a bit of solo, quality time with the bug. Peace and quiet, fresh air and gob-smacking scenery, that’s my happy place. Are you ready YET? 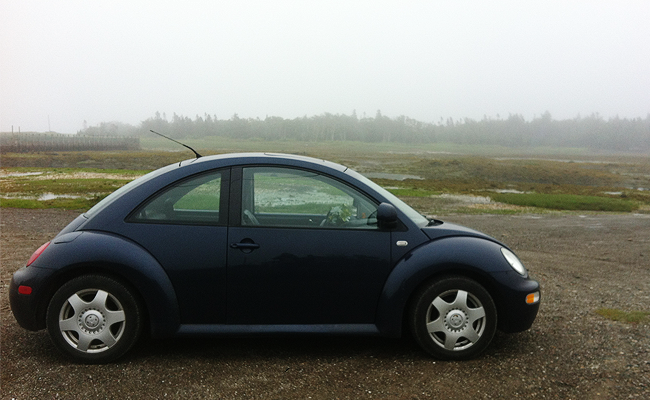 The bug is always itching for a ramble. Jet lagged, I awoke far too early for a day off (Thanksgiving Monday). Normally this is acceptable as I will bask in my warm blankets, all cozied in with a good book and a cup of tea. But despite my exhaustion, I was restless and unsettled, and had finished up my books on the plane. And I had this giant list and was running out of days. The Lakes Bob were about two and a half hours away from my cozy blankets. I fixed a thermos of tea, grabbed a snack and off I went. As I set off, my head my head was full of squirrels. I sorted through the post trip task list and wondered how I could possibly procrastinate it all, and sifted through my social-butterfly to-dos, (hmm, a solution right there – I can’t do laundry while I’m out for dinner! This was going to be a very productive road trip.) My mind raced along as quickly as the bug. Then, my favourite road trip side-effect began. Instead of my brain prattling along, rhyming off all the things I needed to do over the next little while, it slowly started to shut up, and let my eyes do all the work. Trees were competing against each other to be the most dazzling, forests were exploding with fiery colours. 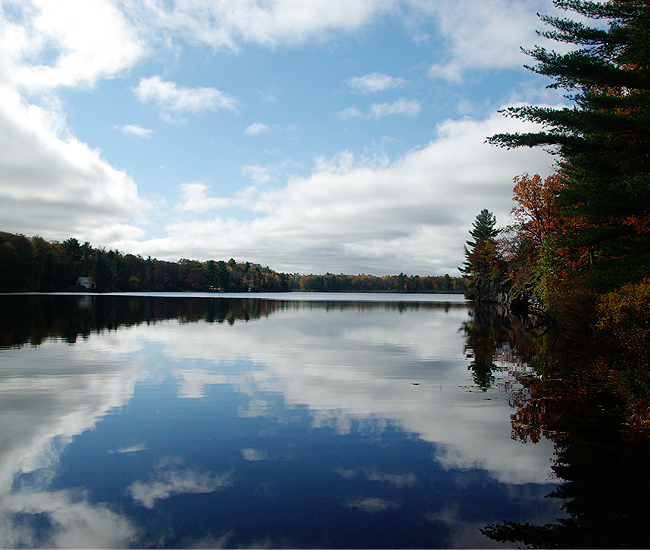 Lakes were so very still, perfectly mirroring the sunny sky above. I’m shocked I managed to keep the bug on the road, rather than veering off into the gorgeous surroundings, or suddenly bursting into applause. Sometimes Mother Nature just shows off. I wound my way down an unknown road, trying to figure out where exactly the dart-pierced map was sending me. I found a little nook between two lakes, and there just happened to be a little stairway leading to an abandoned dock. I crept down the creaky stairs, and a splash broke the glass-like still of the lake as a loon dove beneath the surface. A heron stuck around to say hi, welcoming me to his peaceful sanctuary. My brain was finally at a loss for words, best I could do was just sit and take it all in. I think we all need moments like this. There’s talk of nature deficit disorder, the idea that the lack of time spent in nature is having a detrimental impact on us, particularly screen-hooked children. Without a bit of fresh air and some quality time with dirt stuck to the tread of our shoes, our health suffers. It’s more than the lack of vitamin D making us cranky, it’s argued that being cooped up all the time makes us more prone to anxiety and depression, along with a host of other issues. For me, spending time outside is akin to spending time at a mental health facility, without that gross industrial cleaner smell and green jello. I sat for a while on the dock, enjoying the silence both inside and outside my brain. The crisp air coursed through my lungs, the sun poured vitamin D all over me, and I oozed gratitude – for living in such a beautiful country, for having the ability to run away from home sometimes, for the dear friend with a dart and a map, for the fates landing me here in this little piece of heaven. This was easily one of the greatest gifts of the birthday list. Go, right now. Dig that ratty old map out of the drawer. Find a dart – or make it fun with a spitball through a straw – and see where the fates will take you. It’ll be good! Tell me where you end up?